Suzanne White listed a Memphis area house in the Colonial Acres neighborhood on June 28, 2014. This Memphis area home was listed for $99,000 and sold for $97,000 within 7 days. This Memphis area home in Colonial Acres is located in the zip code region of 38117. This Memphis home in Colonial Acres was built in 1957. The home has 3 bedrooms and 1 1/2 bathrooms. The home in East Memphis is measured at 1245 square feet and has a lot size of .26. This Memphis home is a one story, single family home. The home in Colonial Acres is in the zip code region of 38117. The number of active listings in Memphis increased by less than 3% between the months of June and July in 2014. The average number of days active properties have been listed is 72, 7.7% reduction from a month earlier. The median listing price in the zip code region of this Memphis home in Colonial Acres is $137, 950 and the median sold price was $132,600 for July. Suzanne White at Keller Williams Realty is one of the top producing real estate companies in Memphis. Suzanne White has a rock solid marketing strategy which gets sellers top dollar for their home within a short amount of time. Suzanne White became a Memphis real estate agent in 2004. Homes for Heroes, is a nationally recognized Real Estate savings organization that has partnered with Suzanne White. When a hero buys or sells a home w ith Suzanne White, a real estate agent who services Germantown and the greater Memphis area, they will receive a Welcome Home check after closing. This a great way to say “Thank you” and give back to our local heroes. Suzanne is the first real estate in the greater Memphis area to partner with Homes for Heroes. After the events of September 11, 2001, a group of Minnesota business owners created this network, now the nation’s largest hero savings program. The Homes for Heroes program helps to make buying or selling a home for military personnel, police officers, firefighters, teachers, and healthcare professionals more affordable. Suzanne White is a real estate agent who works with buyers and sellers in Germantown, TN and the greater Memphis area. If a qualified hero buys or sells with Suzanne White they will receive a Welcome Home Check given back to them after closing. Many heroes need to sell first in order to buy, and Suzanne White will honor the program on each side, giving them double the savings! This is an incredible way to say Thank You for giving so selflessly of yourselves. The program has already saved heroes more than $3,000,000 when buying, selling, or refinancing their homes. Memphis area housing inventory down down 13% from 2012 – what does that mean for my Germantown home? In July 2012, there were 7615 homes for sale in the Memphis area. The June 2014 report shows 6644 homes for sale. If you look at Germantown home sales, they are up 18.8% and the median sales price for Germantown homes is up 1.8% to $279,900 for June 2014. If you are a home seller in Germantown, this is great news. Inventory is low but the number of homes sold is higher than this time last year. This creates a supply and demand problem which benefits Germantown home sellers. Although there is not a large increase in sales price, the homeowners who were on the market in the last two years and couldn’t sell might find a great opportunity exists right now to sell your Germantown home. Although prices overall in Germantown have not increased, individual neighborhoods and homes with sought after amenities in Germantown do receive multiple offers within the first days on the market. For example, today there are only 12, 4 bedroom homes with a pool priced at $300,000 and less in Germantown. Buyers looking for a home in Germantown with a pool don’t have a lot of options so this may drive prices up a bit for the best looking homes. If you are looking for the $1,000,000 homes in Germantown your list is limited to twelve homes. Germantown home sellers can take advantage of this low inventory as well as affordable interest rates to get their home sold now to make that move they may have been putting off. If you think you have heard this story before about low inventory, watch this video while Suzanne White with Keller Williams takes you for a look inside the Memphis Area Multiple Listing Service to see the real data of how many homes are for sale in Germantown. 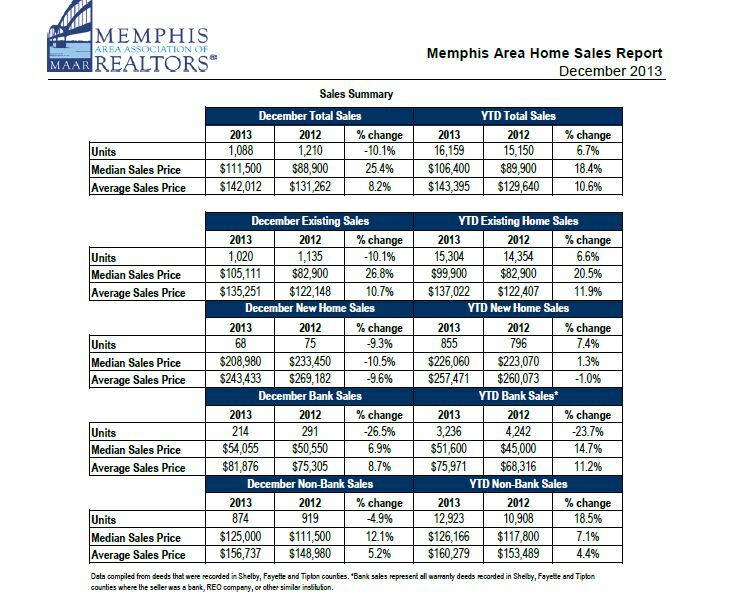 The average sales price for the Memphis area rose to $143,395, up 10.6% from the 2012 average price of $129,640. The total number of homes sold rose to 16159, up 6.7% from the total homes sale in the Memphis area in 2012 of 15150. Germantown, TN saw an increase in total home sales to 859 units, compared to 710 units sold in Germantown, TN in 2012. The average sales price remained flat at $316,403 compared to $317, 687 in 2012. There were eight homes sold over $1,000,000 in 2013 compared to three homes sold over $1,000,000 in Germantown in 2012. The highest price home sold in Germantown in 2013 is located off Johnson Road in The Highlands. The recorded sold price was $1,730,000 and it was on the market for 164 days. One of the more affordable neighborhoods in Germantown, English Meadows, has an average sales price of $183,000. This is quite affordable compared to the average sales price in Germantown of $316,403. To view homes for sale in Germantown just click here. Want to know what your home might be worth? Get a FREE Market report here. As expected, the latest housing report showed inventory at 6,190 on Dec. 16, down 4.8 percent from a month earlier. The average days on market in November rose 15 percent to 92 days and existing home sales fell 15.9 percent to 1089 total sales. The average sales price was $144,608. In Germantown, TN 40 homes sold with an average sales price of $362,408. One home was sold in Germantown, TN over the million dollar mark and Devonshire Gardens boasted the highest average price of $725,000.00. Visit here to find out your home’s value.